Wow! It’s hard to believe that it’s already mid-September. I have a whole list of things I want to complete by the end of October and I am slowly working my way through it. 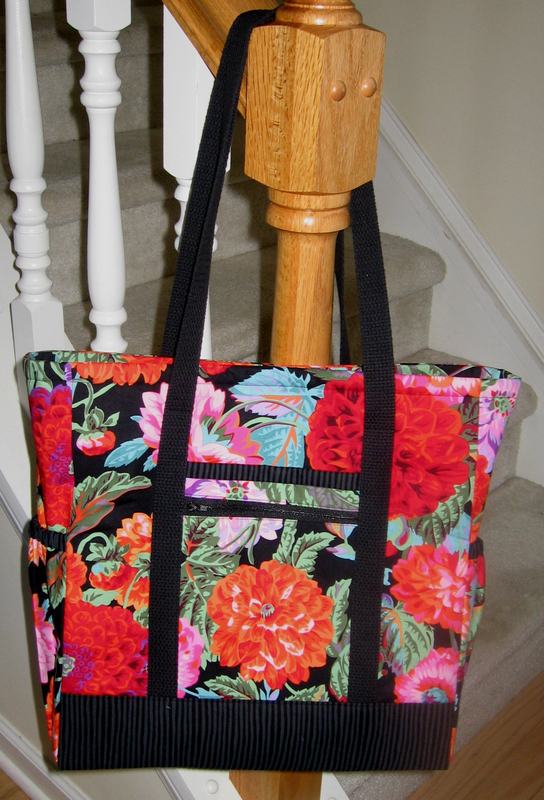 I finished yet another Professional Tote in Kaffee Fassett fabric. This will be used as a class/shop sample at Elegant Stitches. I’ve started block 9 on the Civil War Tribute Quilt and hope to get the quilt top finished by the end of October. It will be nice to have it finished and off my plate. I’ve also compiled a few items for a Fall craft show in which I am participating. It’s pretty close to Halloween (Oct 23) so I won’t have a lot of Halloween things. Instead, I think I will focus on Christmas stuff and things that people can give as gifts. It’s exciting to plan for, as this is the first show I’ve participated in! 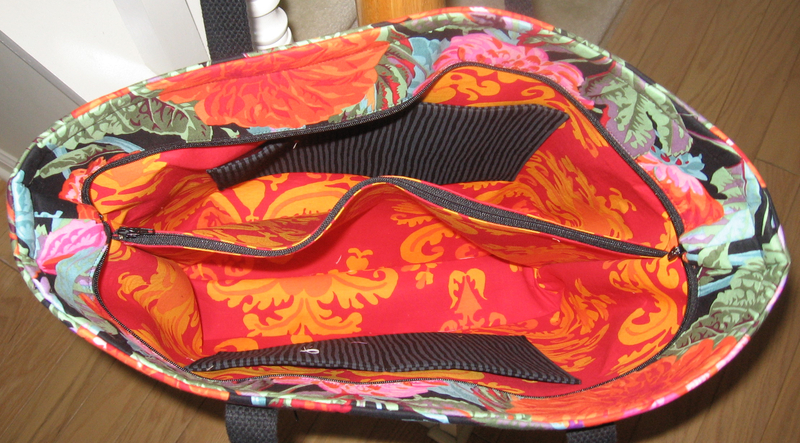 This entry was posted in Purses and Totes, Sewing. Bookmark the permalink. I like the new bag. I was wondering if you could picture the Civil War quilt again. I am interested in the colors. Thanks Mom! I emailed you a picture of what the quilt will look like when it is all put together. Beautiful bag!!!!! Should be a fun class!!! Thanks Mrs B! Are you going to sign up for the class ;)? Lovely bag, I like how the black sets off the bright colours. I adore the bright orange interior! Something I would do! Hope you have fun teaching the class! Thanks Sandi! I’m glad you like it. Please tell us more about this craft show!!! It is on Saturday, Oct 23rd. I will post more details on my blog in a few weeks!